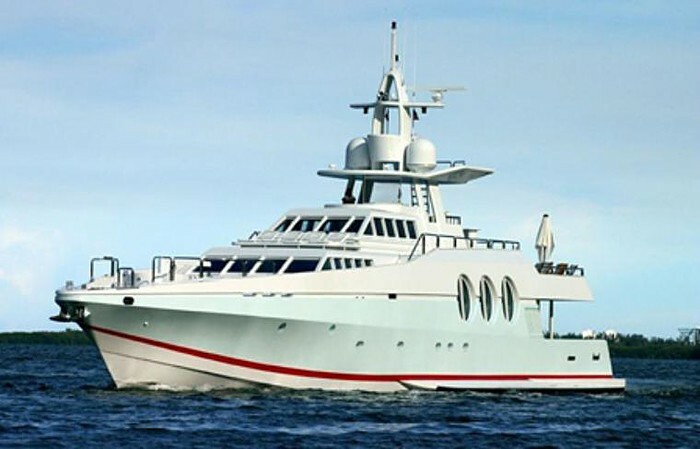 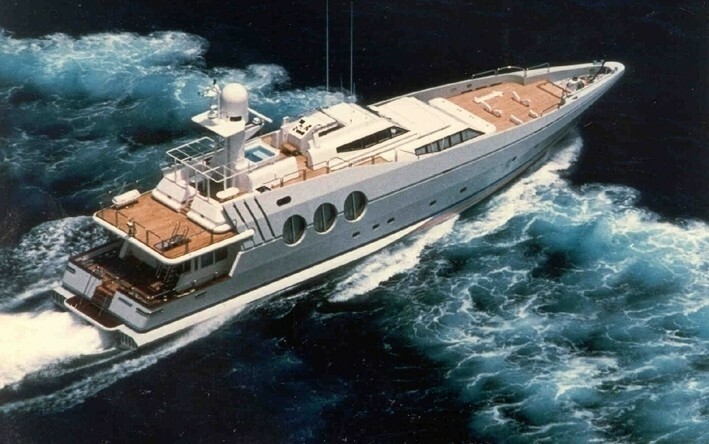 Superyacht NEVER SAY NEVER was designed by naval architect Phil Curran and built by Oceanfast shipyards in 1985 and underwent a refit in 2009. 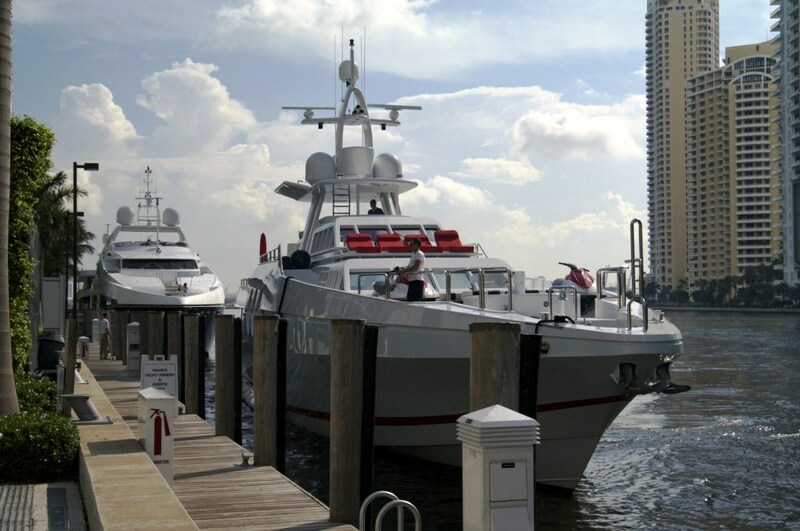 The yacht NEVER SAY NEVER stands out from the rest with her innovative modern lines, strategically placed windows and unique silhouette. 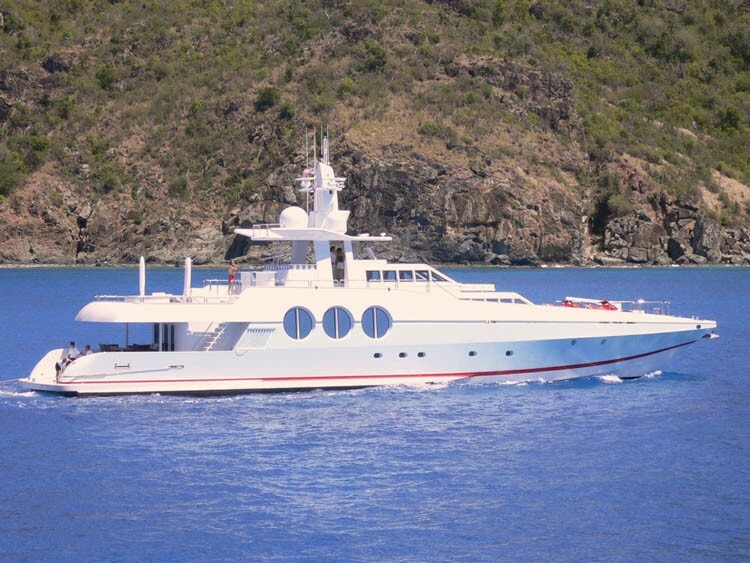 M/Y NEVER SAY NEVER measures 36.9m (121.11ft) and offers accommodation for up to 8 charter guests in 4 en-suite cabins. 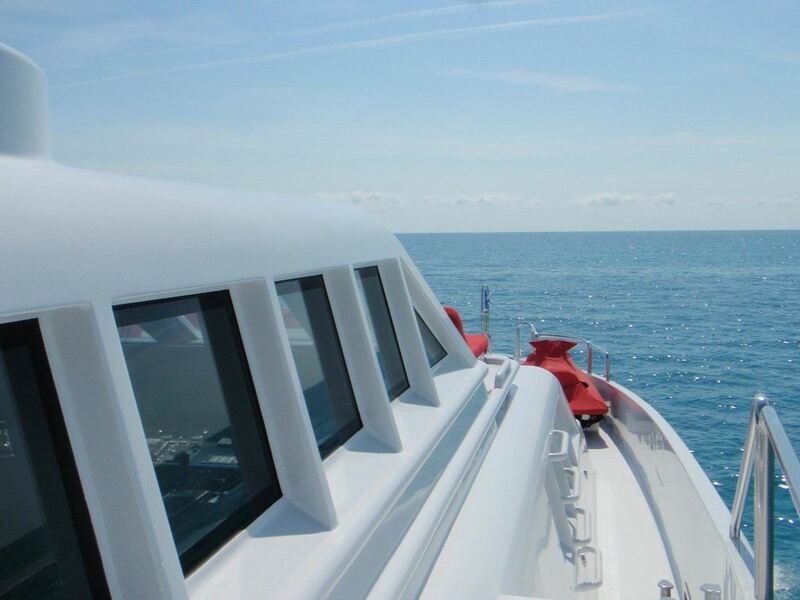 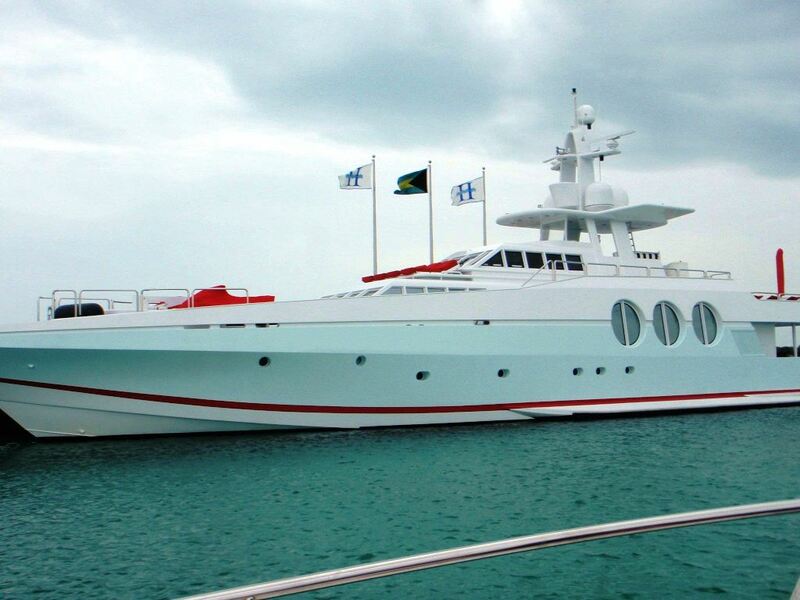 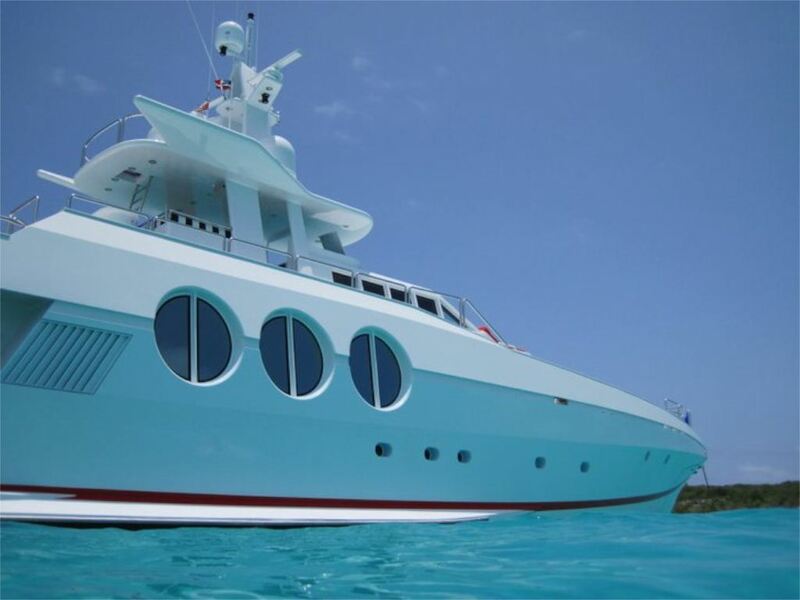 She is available for charter in the Caribbean, Florida and the Bahamas. 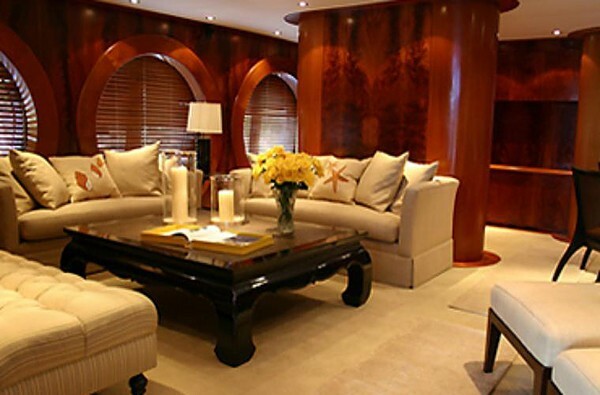 The Oceanfast motor yacht NEVER SAY NEVER offers ample interior living in a sophisticated ambiance designed by Jon Bannenberg. 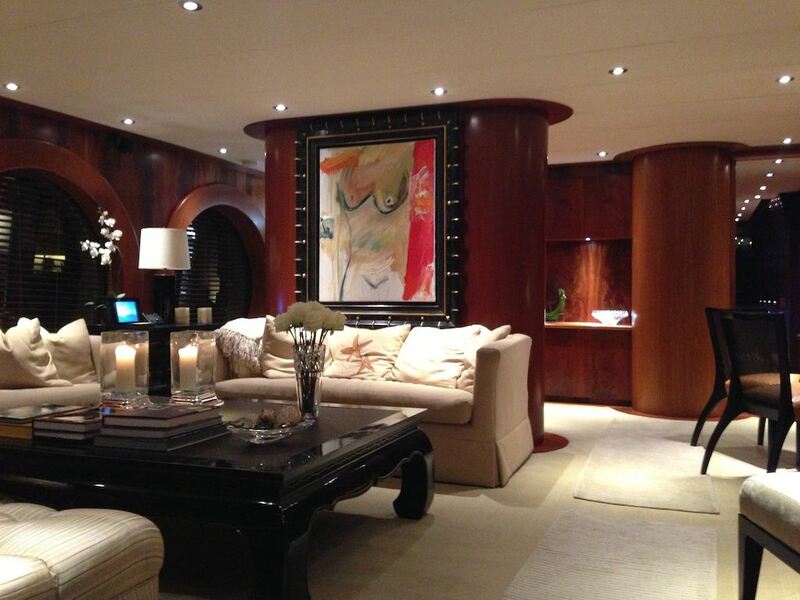 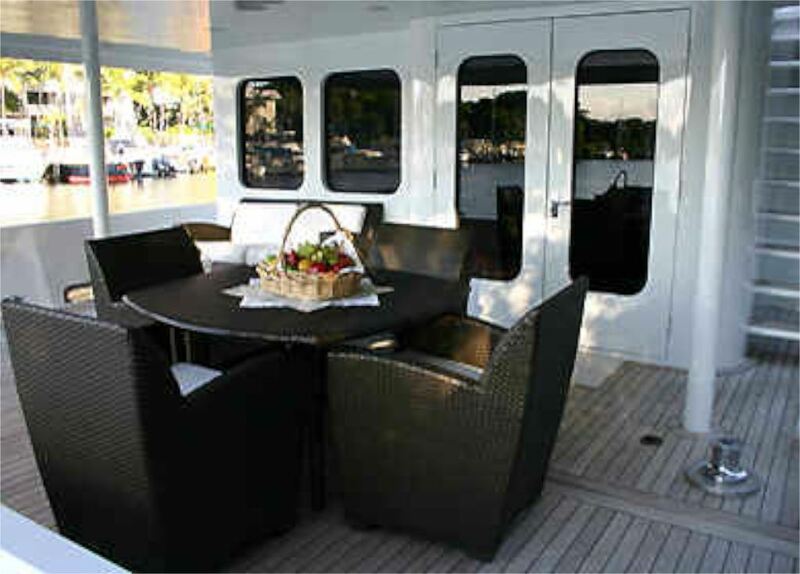 The lounge space is forward amidships with plush sofas, a large coffee table and wet bar, ideal for entertaining. 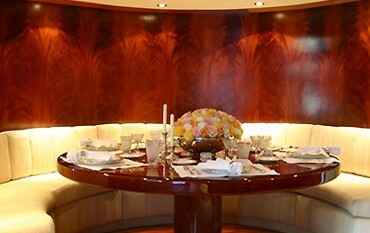 Aft of the salon the formal dining table seats all 8 guests at a custom built circular wood table, with surrounding booth style seating. 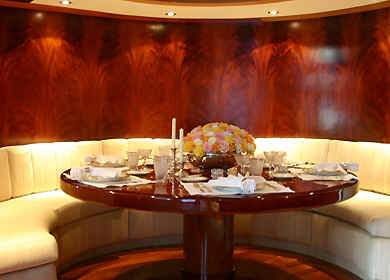 Aboard the NEVER SAY NEVER motor yacht, the master cabin is forward of the salon and dining taking full advantage of the views. 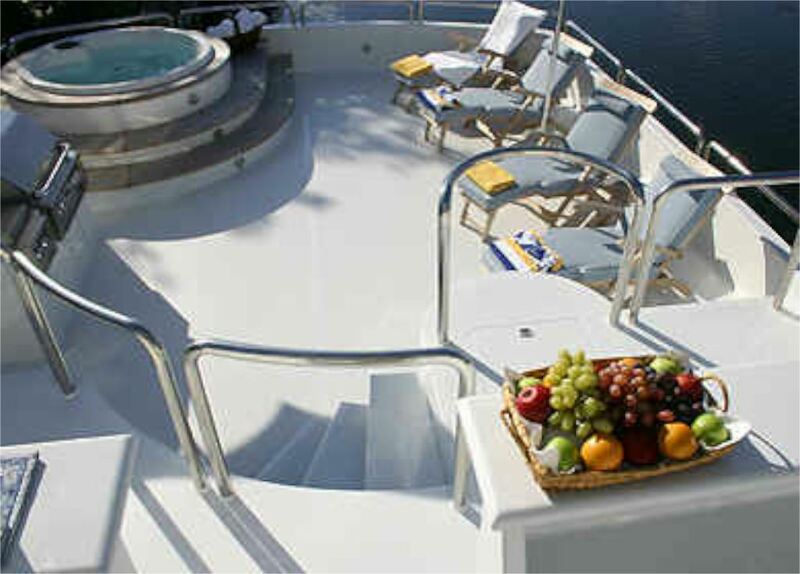 Charter yacht NEVER SAY NEVER has plenty to offer on her expansive deck areas. 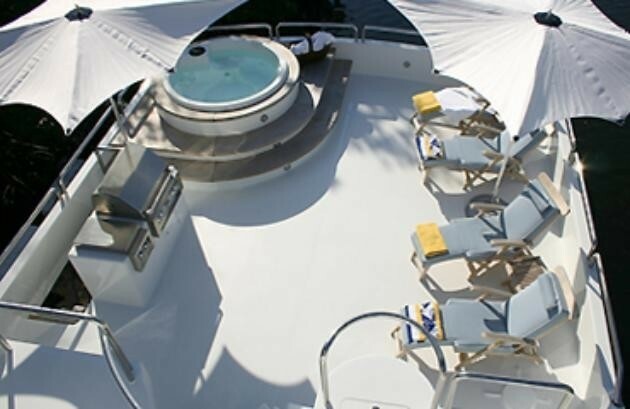 The aft deck is shaded and features an alfresco dining option, further aft a swim platform allows guest effortless access to the azure tropical waters. 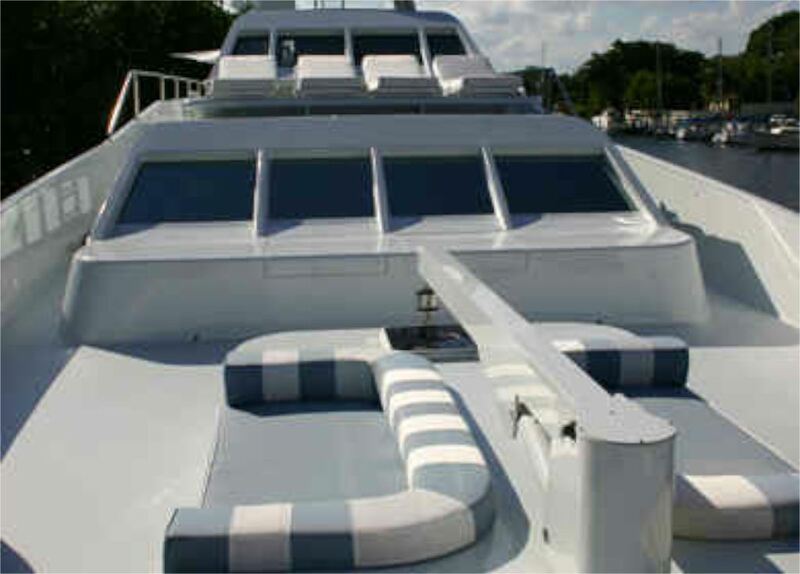 Forward on the main deck are 2 generous seating areas and sunpads. 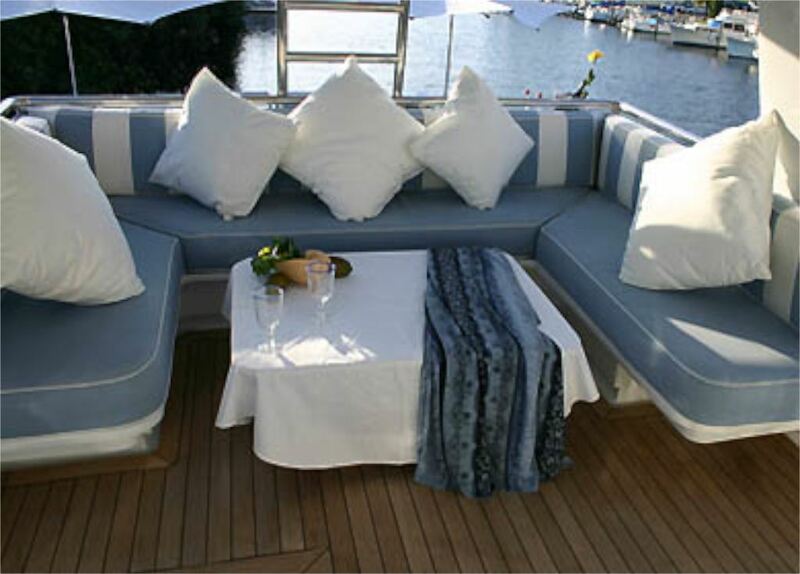 Above the main deck, super yacht never offers further relaxing and lounging on a sundeck with BBQ and Spa Pool tub and flybridge lounge area. 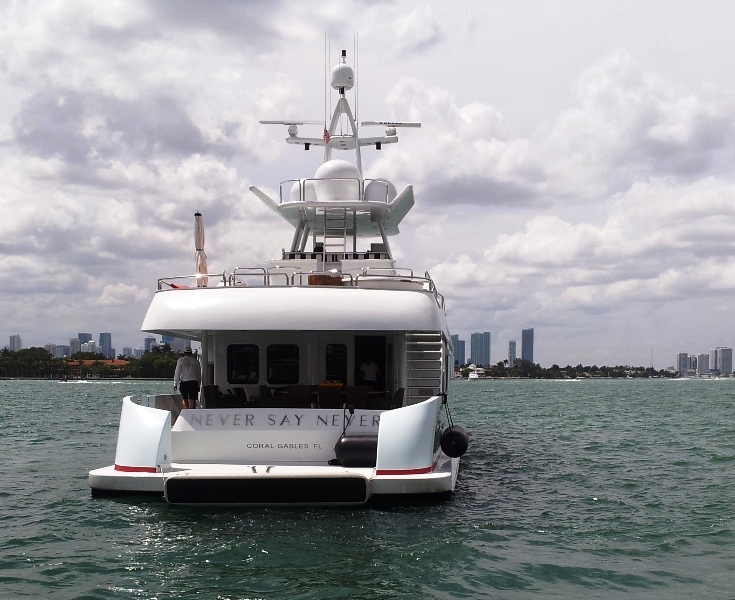 M/Y NEVER SAY NEVER has a beam of 7m (22.11ft) and a draft of 2m (6.7ft), she is powered by twin MTU 1960hp turbo engines and is capable of exhilarating speeds of up to 30 knots. 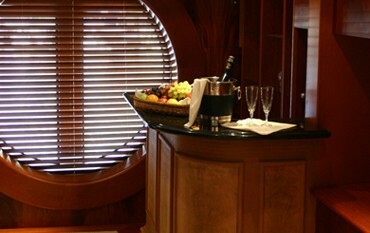 Luxury charter yacht NEVER SAY NEVER offers 4 en-suite cabins for up to 8 guests. 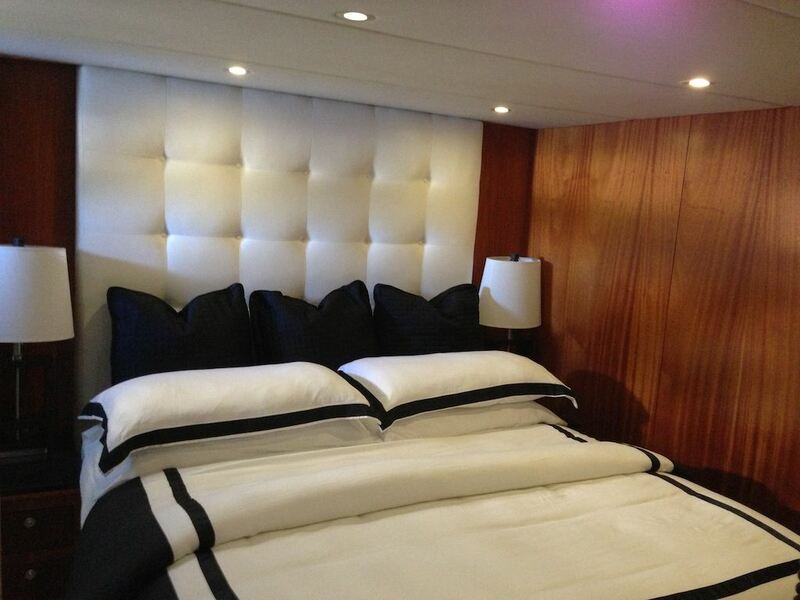 The master stateroom is forward on the main deck with a king size bed. 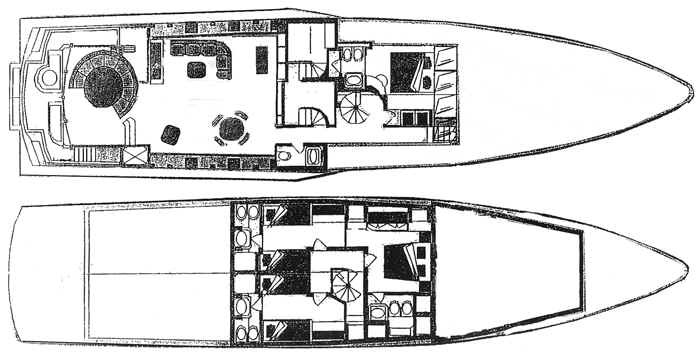 Below decks and forward, is the VIP cabin with a king size bed. 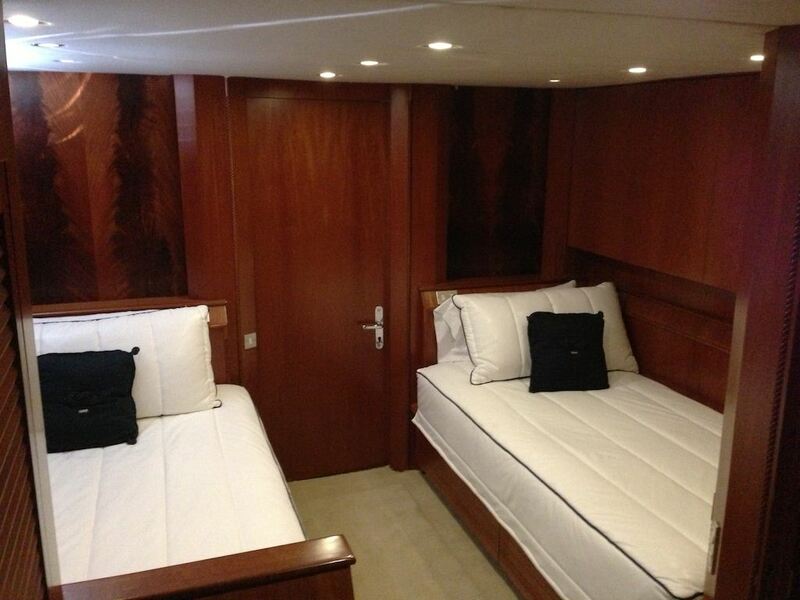 A further 2 twin cabins are on port and starboard amidships, with side by side single beds. 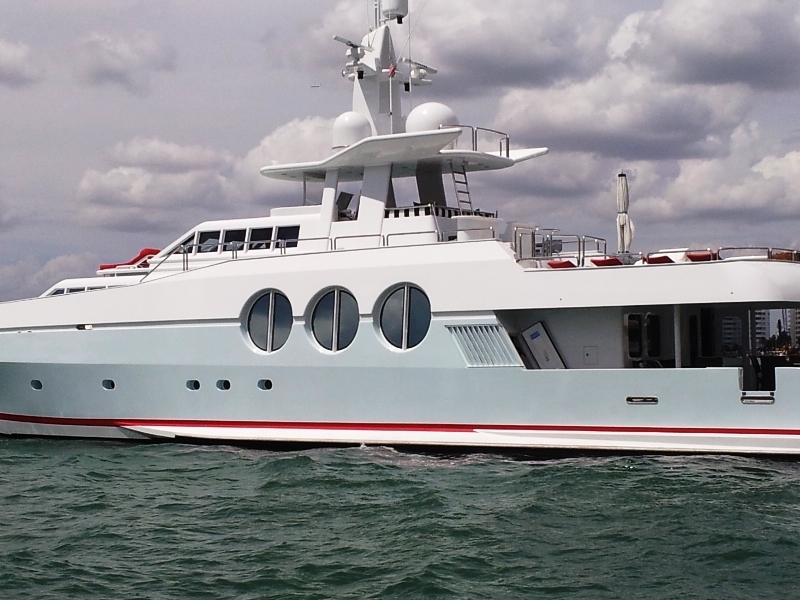 We do have available further amenity, owner and price information for the 36.9m (121ft) yacht NEVER SAY NEVER, so please enquire for more information.